The original creative team unites to complete an issue eight years in the making! 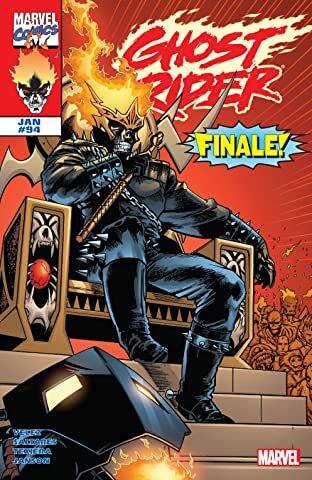 In early 1998, GHOST RIDER #93 ended with a shocking cliffhanger: the death of Dan Ketch, the Ghost Rider's human host! 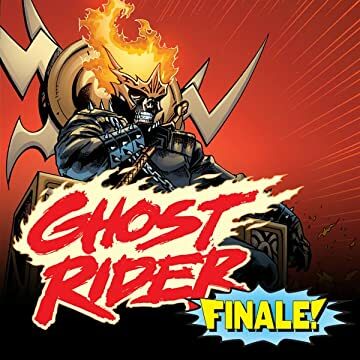 But the book was canceled prematurely, prior to the release of the series finale in GHOST RIDER #94 - which had already been written and was almost entirely penciled. Now, the final fate of Dan Ketch is revealed at last! With Blackheart deposed, the Ghost Rider is now lord of the Nether Realm. What does he intend to do with his power? And will the other Dark Lords - like Belasco, Pluto and Hela - allow him to keep it?